MEMPHIS, TN April 13, 2019. 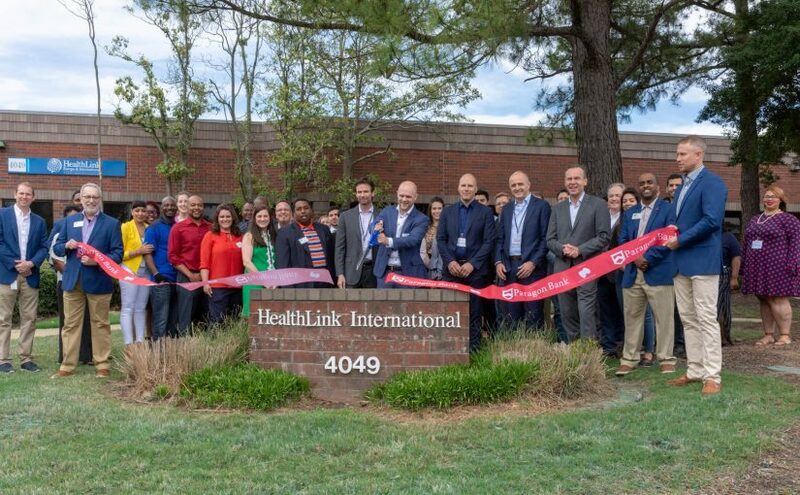 HealthLink International, experts in the medical device and human tissue markets, celebrated the grand opening of its new medical device facility on Friday, April 12. Headquartered in the Netherlands, HealthLink has been in business since 2005. The expansion comes as a result of HealthLink’s existing client growth and the growth potential offered by a much larger facility. With medical device manufacturers looking to outsource some or all of their supply chain operations, HeathLink is poised and focused. “This expansion will allow us to better serve our clients and focus on value-added services such as rework, relabeling and kitting,” says Kay Bonavita, Vice President – North American Sales. HealthLink is a ‘Total Solutions Provider’ for companies active in the medical device and human tissue markets. Originally established in ‘s-Hertogenbosch (Netherlands), the company opened its first office in the United States in 2004. HealthLink specializes in customized logistics, temperature-controlled storage, fulfillment, and transport management. In addition, it provides back-office services, such as multilingual customer service, order-to-cash services and VAT management. Learn more at https://www.healthlinkeurope.com.